If you’re looking for high-quality commercial catering equipment, we have what you need. With more than two decades in the business, Kent Catering has become a trusted catering equipment supplier and repair company for clients across Canterbury and neighbouring areas in South East England. We employ skilled engineers who have the expertise and the qualifications to service, repair and maintain various makes and models of kitchen equipment. For equipment fixes or upgrades, we’re the right people to call. At Kent Catering, we have a team of kitchen engineers who can repair your faulty or damaged kitchen equipment. We have a wealth of experience in repairing a vast array of kitchen equipment, providing our services to several large companies as well as national manufacturers of kitchen equipment. 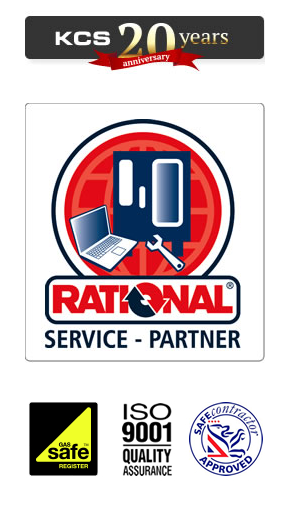 All our engineers are fully trained by equipment manufacturers such as Rational, Electrolux and Instanta. With our excellent credentials, you can trust our team to bring your equipment back to optimal working condition. From refrigeration products to cooking machines, we supply a wide range of equipment for your commercial kitchen. Our selection of high-tech kitchen products is designed to improve productivity and efficiency, streamlining operations for your team. The innovation our equipment offers can help you maintain the cleanliness of your kitchen and improve the quality of your service. We also carry a large stock of spare parts for kitchen equipment, making sure your machines run smoothly at all times. If you need any assistance in selecting the right equipment for your commercial kitchen, do not hesitate to ask our staff. Our engineers also offer professional advice in maintaining the quality of your kitchen equipment. Just let us know what you envision for your kitchen and we will offer the most suitable solutions that meet your standards. For product and service enquiries, give us a call on 020 8462 9911.